ONE OF Byron Bay author Jesse Blackadder's main characters made international headlines last week in a dramatic Antarctic rescue mission. 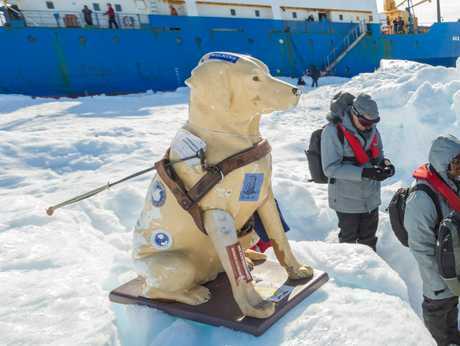 Australia's infamous Antarctic mascot Stay - a life-sized fibreglass collection dog from Royal Guide Dogs Tasmania - was among 52 rescued after the ship, Akademik Shokalskiy, became stuck in thick ice on Christmas Day. 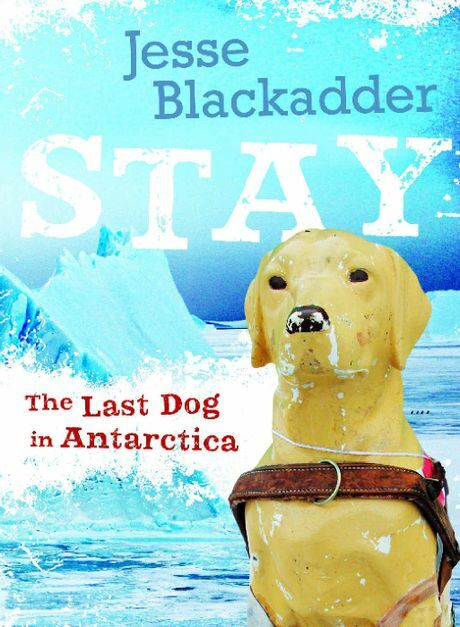 Stay was the subject of Ms Blackadder's novel Stay: The Last Dog in Antarctica (ABC Books 2013) and she said the high-profile rescue was typical of Stay's adventures. "It didn't surprise me at all," Ms Blackadder said. "Stay is a symbol of the larrikin Antarctic sprit. She's a bit like a garden gnome, always getting snatched and spirited away on adventures. "Stay has been in Antarctica since the early 1990s when the last huskies were removed from the continent under a new environmental protocol, Ms Blackadder said. "Since being smuggled to the Antarctic, her adventures have included dognappings, escapes, disappearances and mysterious travels. "She's been to every Australian Antarctic station and remote field sites like the Prince Charles Mountains and Bechervaise Island. "One year Stay travelled Spitsbergen - almost to the North Pole." Stay's most recent adventure came after she was left alone at Mawson's Hut in January 2012 after being flown into Commonwealth Bay with the landing party for the Mawson centenary commemorations. Stay was retrieved from the hut by expedition leader Chris Turney, leader of the Australasian Antarctic Expedition, a privately funded voyage celebrating the centenary of Douglas Mawson's expedition. However, Stay's troubles weren't over - the expedition's ship, Akademik Shokalskiy, became stuck in thick ice on Christmas Day. The expedition's 52 passengers were rescued by helicopter and transferred to the Australian ship, Aurora Australis, last Thursday - along with Stay. Jesse Blackadder's next novel for junior readers, Paruku The Desert Brumby, has also been inspired by a true story. It was released on January 1, this year.